Life is meant to be lived fully, with joy, with fun. What better way to do that then on a ship named The JOY!!! The Joy of Living Cruise is a 5 day get-away designed to put you back into the groove and excitement of living. It is time to BUST FREE of all the limits and ceilings you have put on your worth, ANNIHILATE the obstacles you have put before you, and truly experience the magic, grace, and wonder of INFINITE LIVING. This 5 day adventure is happening on the newly refurbished Norweigan JOY – a floating oasis of rejuvenation! Your hosts and facilitators, Cari Moffet and Fay Thompson chose this adventure with purpose – they specifically wanted to invite you to experience life while being surrounded by the nurturance and grandeur of nature. The Pacific Coast hosts stunning views, crisp sea air, and beautiful skies. Let this adventure remind you of the fun you love having, the life you love living, and the joy you truly are. Life is meant to be experienced! This event begins in Vancouver, BC on October 6th and ends in Los Angeles, CA on October 11th. How to get there by plane? Fly into Vancouver International Airport. Boarding the vessel begins at noon and closes at 6pm. We recommend getting on ship early, going to sit in one of the sit down restaurants, and enjoy a lovely lunch. Then take time to leisurely unpack and get your bearings. NOTE: When booking travel, remember to book a one-way ticket from your home to Vancouver (YVR) and a one way ticket from Los Angeles (LAX) to your home. You will need to be onboard the ship by 6pm on October 6th at Port of Vancouver – 999 Canada Place Way. You will disembark around 9am on October 11th in Los Angeles at San Pedro Pier – 100 Swinford St, San Pedro, CA. All Meals – there is a buffet and 6 sit down restaurants from which to choose from. Basically you can eat for free 24 hours a day! 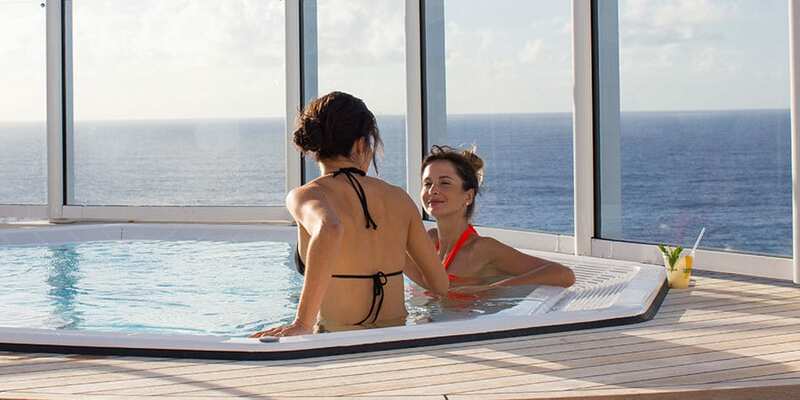 Shipboard amenities including hot tubs, fitness centre, pool, waterslides, mini golf. Daily games, nightly entertainment which includes Las Vegas and Broadway style shows, Comedy club, Piano Bar, and Karaoke! Internet (it’s very slow onboard ship, FYI.) It might be time to unplug and unwind. $1500 per person (based on double occupancy) – 30% non-refundable deposit required to reserve booking. 60% due on or before July 1, 2019. Remainder due September 15, 2019. Alumni Discount: Anyone who attended either the 2017 or 2018 Make Your Life Sparkle Retreat will receive a $100 discount if registered by March 15, 2019. NOTE: We will try to partner you with a roommate if you desire to share a room, and don’t have one. However, you will need to pay for single supplement rate upfront in case one is not found. If you have paid the single supplement rate and a roommate is found, you will be reimbursed the extra funds you paid. This is done on first-come, first-served basis. Registering early gives you the best chance at being paired. Single supplement addition must be paid in full by July 1, 2019. We HIGHLY recommend registering early as we have a very limited number of spots available for this retreat. We anticipate selling out early. 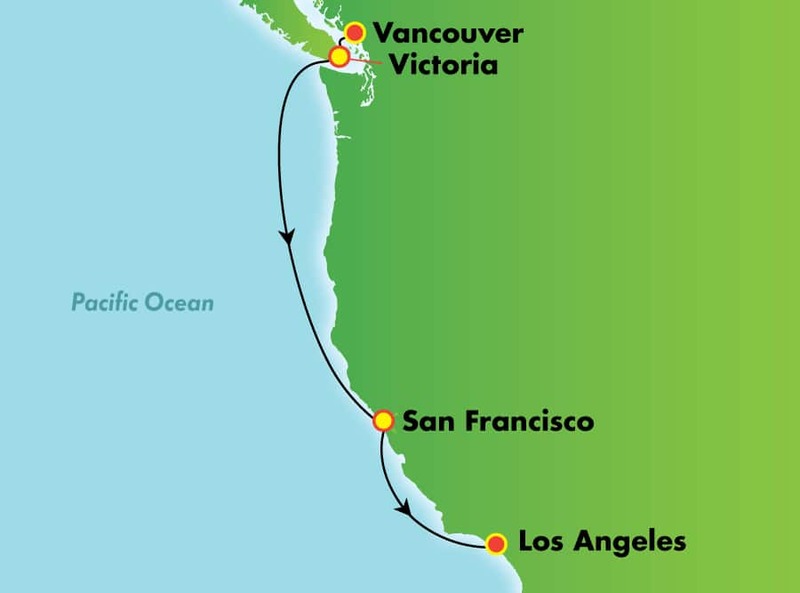 Arrive in Vancouver – Head to Port of Vancouver. Ship boarding begins at noon and ends at 6pm. Make sure you are on the boat prior to 6pm or you will not be able to board. Register, meet the facilitators, meet the participants, and let the joyful fun begin! 7am – 2pm Go enjoy the wonders that Victoria has to offer…or stay on the ship and relax and indulge. 4pm – on : Time to reflect, mingle, indulge, and enjoy. Take in a spa treatment or for a fun game of laser tag. Dine in any of the restaurants from 5pm-10pm. 6am-10am Breakfast and time to pamper yourself. 8am – 7pm Enjoy San Francisco or stay on the ship and relax and have fun. after 7pm – take in a show or go to the Comedy Club. 4pm – on : Time to Play. Dine from 5-10 in any of the restaurants. Then take in the Piano Bar or do you dare to karaoke? Looking forward to creating abundance with you this October! Where do we go to board the ship? You go to the Port of Vancouver at 999 Canada Place Way. If you tell a taxi that you want to go to the place where cruise ships are, they will know where to go. What’s the last day I can register? July 1, 2019. We are unable to hold cabins after that date so we will be letting go the cabins and will no longer have accommodation to offer after that date. How do I tip and how much? Tips are given at the end of the cruise. You will receive envelope(s) to hand in your tips. The recommended amount for this cruise is $88 USD. You do not tip at meal service or leave tips for housekeeping. It is done at the end of the trip. When are meal times onboard the ship? Breakfast is from 6am-10am. Lunch is from 12pm-3pm. Dinner is 5pm-10pm. There is also one restaurant that is open 24 hours, so basically you can eat 24/7! Can I bring my own alcohol and soda/snacks onboard? Yes, but there is a $20 corkage fee if you wish to drink it in restaurants. We recommend bringing your own corkscrew. Do I need a passport? YES. You will need a valid passport. Make sure it is valid for at least 6 months from the dates we travel. Is there a spa onboard? Yes. It is called the Mandara Spa and is not part of Norweigan Cruise Lines. All services from the spa are to be booked with the spa and paid at the spa. Will I get seasick? While it is possible, it is highly unlikely. 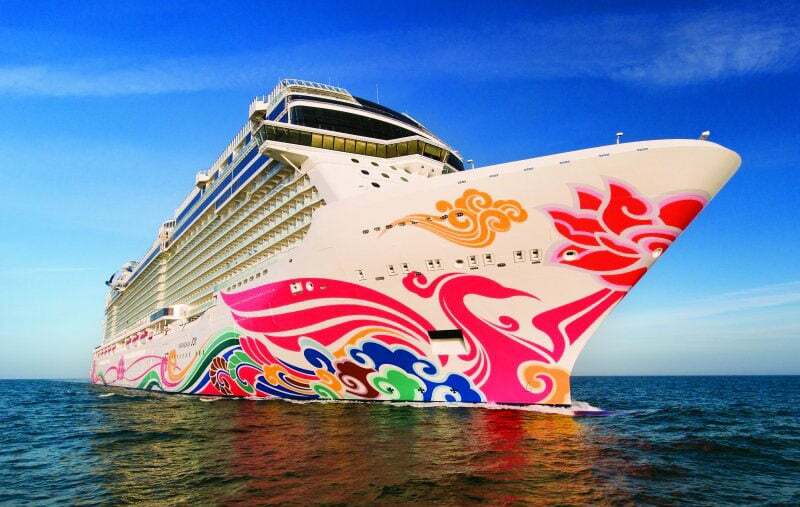 The JOY is a large ocean cruise ship and very little movement is noticed while onboard. What kind of currency should I bring? We recommend having some USD with you as prices onboard the ship are in USD and we will be spending time in San Francisco and Los Angeles. Also you may wish to carry some CAD since we will be in Vancouver and Victoria, Canada. What time do we board the ship? Boarding begins on October 6th at noon and ends at 6pm. If you are late, you literally miss the boat. What time do we get off the ship in LA? You will arrive at the San Pedro Pier at 7am and it usually takes about 2 hours to get through customs before you are allowed to disembark. What excursions can I take? Please check www.ncl.com for excursion information. There are only 16 registrations (8 cabins) available. 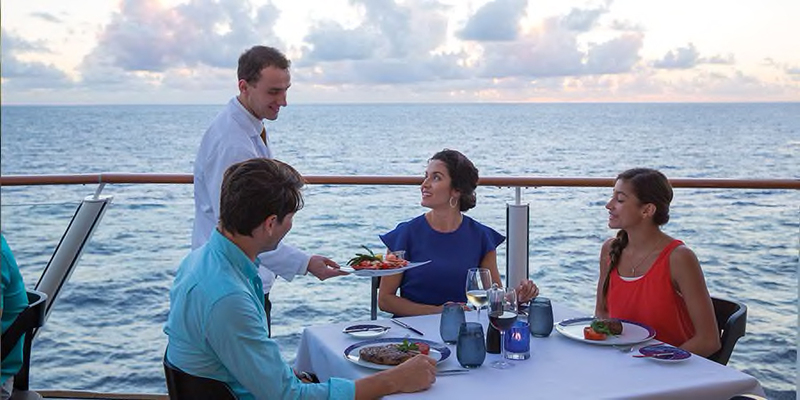 Newly refurbished in 2019 just for us (ok, that’s probably not true, but we like to see it that way), this cruise ship was created for fun, inspiration, and relaxation. It’s aptly named The Joy. In your package, your accommodation, meals, and Creating Abundance seminar sessions are all included. In amongst all the joy, wisdom-sharing, laughter, and inspiration you will see 4 of the Pacific Coast’s most wonderful cities. Vancouver, Victoria, San Francisco, and Los Angeles. And, did we mention you will staying in a balcony cabin? Just imagine waking up, slipping on your robe, and opening your door to your veranda while the sun kisses your cheek and you breathe in the salty sea air. Luxury. Why? Because you’re worth it. Registration deadline is July 1, 2019. Don’t delay. CLICK HERE TO LET THE JOY BEGIN! Fay has overcome poverty, bullying, and naysayers, and has made magic in ways that shouldn’t be possible. She wants everyone to know that whatever your circumstances, they do not stand in the way of your sparkling future. Fay inspires those around her with her enormous enthusiasm for life and unwavering faith in the divinity and God-force within. Fay’s gift is her ability to ignite the JOY within others and to get people see their full potential and creative capacity. Fay is positively tingling with excitement for this amazing event. Her bright sparkle is inviting yours to come twinkle, shimmer, and play. 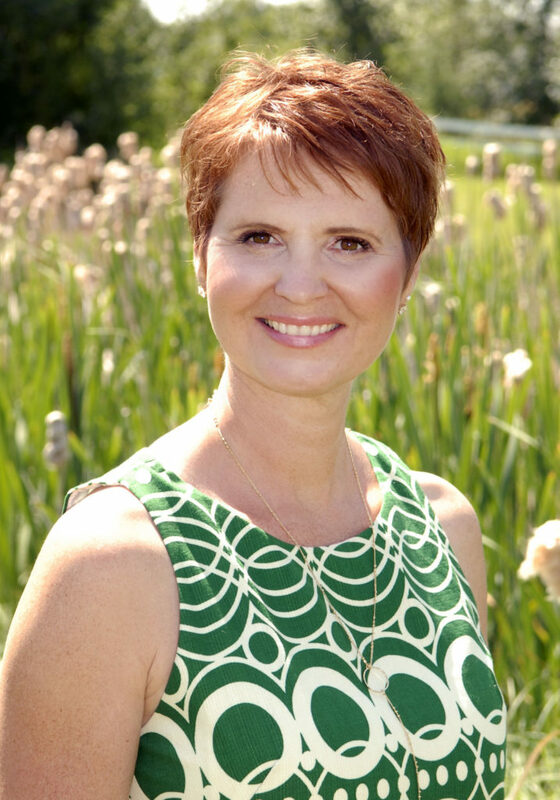 Cari Moffet is a Certified Medical Intuitive, Registered Massage Therapist, and Spiritual Life Coach. 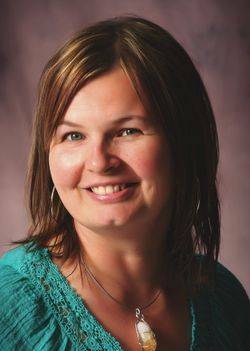 She is also the owner and founder of Whole Life Wellness Centre in Meadow Lake, SK. Cari has a vision of bringing wellness, heart, and vitality into her and other people’s lives. She is a mover and a shaker, and a visionary entrepreneur. Her JOY is infectious and her spirit is fearless. Her light-hearted nature and willingness to lighten up and laugh (and not take things too seriously) not only makes her a delight to be around but a force of wisdom, creativity, and joy we can all benefit from. Cari has much to share with us and is excited to be part of it. Her sparkle is infectious, and her magic is magnificent – all wrapped up into one very down-to-earth, home-grown, joyful prairie girl who knows how to keep it real and to create a life that’s really worth living. For more information about Cari and her work, visit www.carimoffet.com. There is a limited amount of cabins available to us. Don’t miss out on all the joyful brilliance this event is offering! And, did we mention you will be staying in cabin with a balcony? Yeah, baby! Because, you’re worth it! This event is anticipated to sell-out. We are thrilled that Ginger Michelle Apothecary is a sponsor for this retreat again!!!! Participants raved about these products last year and they will be back. 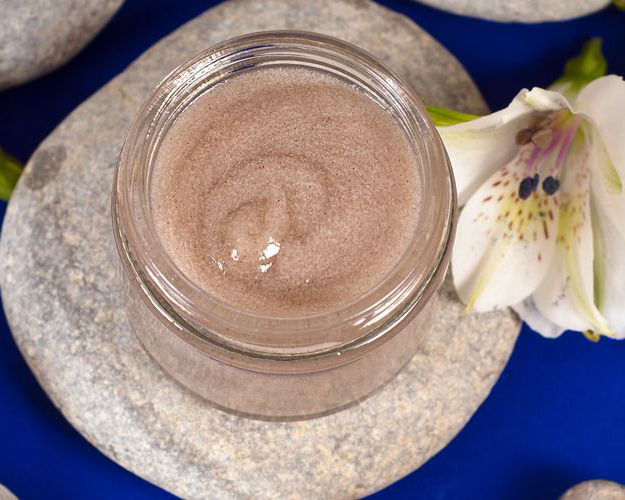 Enjoy the luxury of Ginger Michelle Apothecary Face and Body products. They are absolutely luscious and delicious for the skin. Ginger Michelle creates these products with love, passion, care, and expertise. There isn’t anything better. We are excited that Grounded Goodness is sponsoring our retreat once again this year!! Their mission is to spread goodness. What is goodness? To them, it’s love; it’s fun; it’s connection; it’s inspiration. It’s being kind to ourselves and others. It’s experiencing joy and then sprinkling that around like confetti. It’s the feeling when we connect with someone who just gets it. It’s being inspired to live fully, even on the really crap days (because we all have ’em). Grounded Goodness spreads goodness in many ways including through inspirational gear for grownups! Decals, T-shirts, etc. Check out their yumminess at www.groundedgoodness.com.